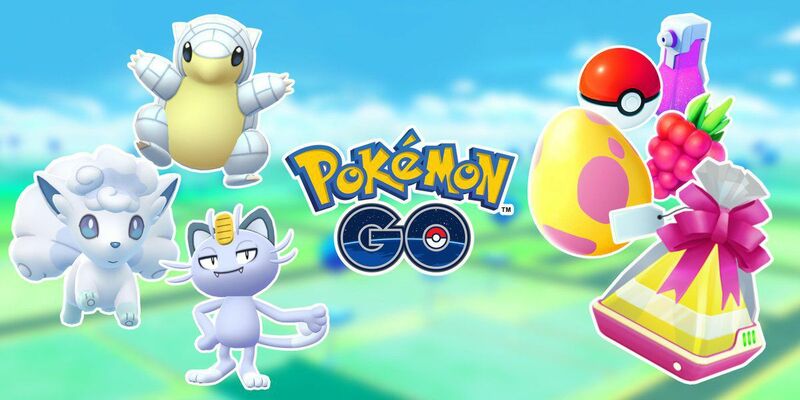 Alolan Pokémon are slowly being introduced into Pokémon Go, giving fans a bunch of new creatures to add to their growing Pokédex. Unlike most Pokémon, certain Alolan Pokémon are only available in the wild and can't be evolved at all. This makes some of these Pokémon incredibly rare to find in-game because they might only be available though certain methods if you don't know where to look. We've created this handy guide to keep you up-to-date on all of the new Alolan Pokémon, including where you can find them. Some Alola Pokémon can only be caught in the wild, so be sure to keep tabs on your nearby Pokéstops and locations to find one. Niantic has a habit of making this Pokémon common every once in a while. Alolan Exeggutor can't be evolved from a normal Exeggcute, so it can only be caught at this time. These Pokémon are available in the wild as rare encounters. Gifts were recently added to the game and they can contain items ranging from potions to Poké Balls. You'll always get a handful of goodies and could potentially get some rarer items if you're lucky. These gifts can include Hyper Potions, Max Potions, Revives, Max Revives, Poke Balls, Great Balls, Ultra Balls, Pinap Berries, and Evolution items. But the rarest and most unique item is the Alolan Pokémon Eggs. There are a few Pokémon that still are only available in Raid Battles.